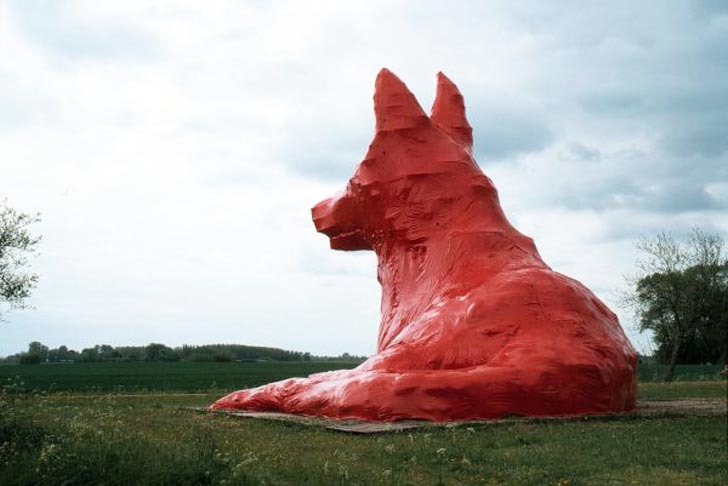 The big red dog you see above isn't Clifford, but a giant shepherd <a title="Giant Red Dog Made from Scrap is a Dutch Village Watchdog" href="https://inhabitat.com/big-yellow-bunny-made-from-local-swedish-materials-is-easily-the-size-of-a-building/big-yellow-rabbit-florentijn-hofman-1/" target="_blank">sculpture</a> that watches over a tiny Dutch village. 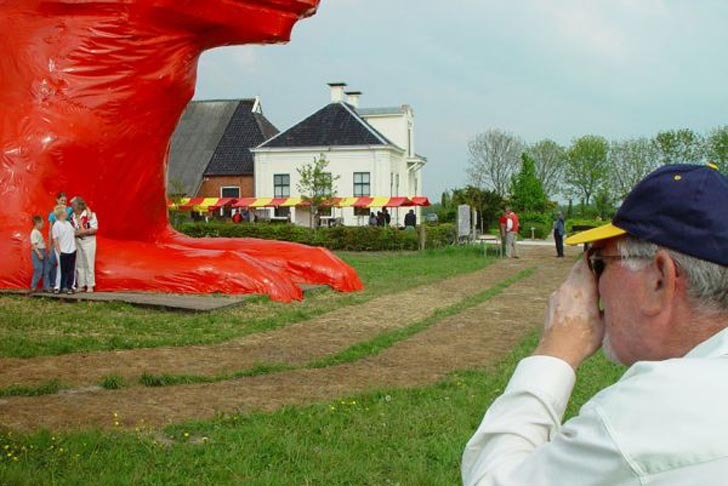 Named Max, the gargantuan dog was designed by <a title="Giant Red Dog Made from Scrap is a Dutch Village Watchdog" href="http://www.florentijnhofman.nl/" target="_blank">Florentijn Hofman</a>, and has been guarding the Dutch community of Leens since 2003. Made from locally sourced scrap materials and covered in bright red shrinking foil, this larger-than-life canine is now part of the local cultural heritage. Measuring 40 x 26 x 82 foot high, Max doesn't go unnoticed within the Dutch countryside. 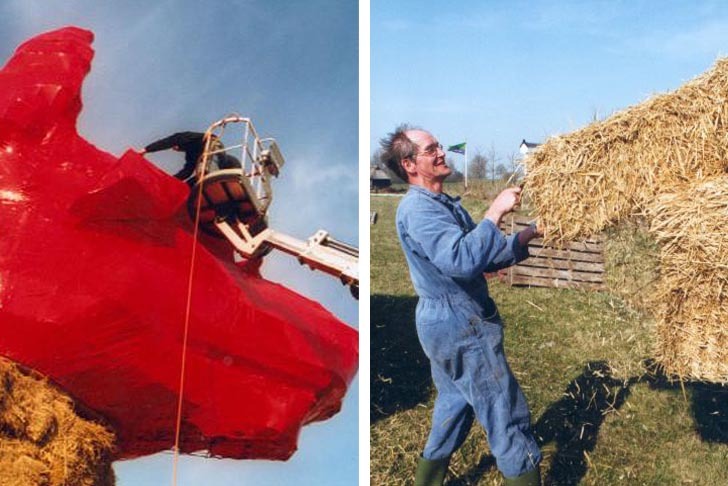 He is now part of the landmark making a bright strong statement and looking after the tiny farmers village of Leens, in the Groningen province. Kids climb on it and older people have their photographs taken with the over-sized red canine. 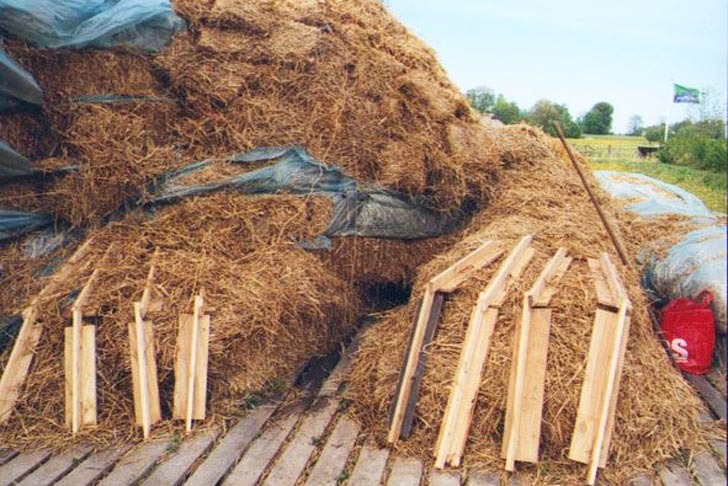 Max was mainly built from locally sourced, low-impact materials like potatoes crates, pallets, wood, straw, rope and metal wire to hold it together. It was then wrapped up using bright red shrinking foil to protect the natural materials from rain and lift up the spirits within the coldest months. 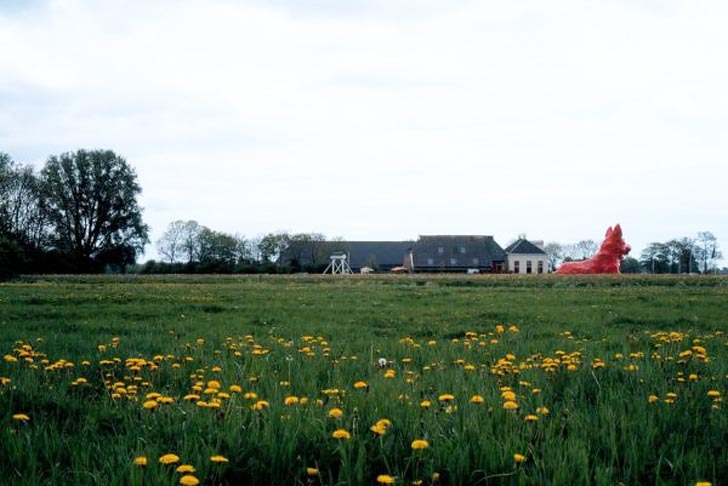 The big red dog you see above isn't Clifford, but a giant shepherd sculpture that watches over a tiny Dutch village. 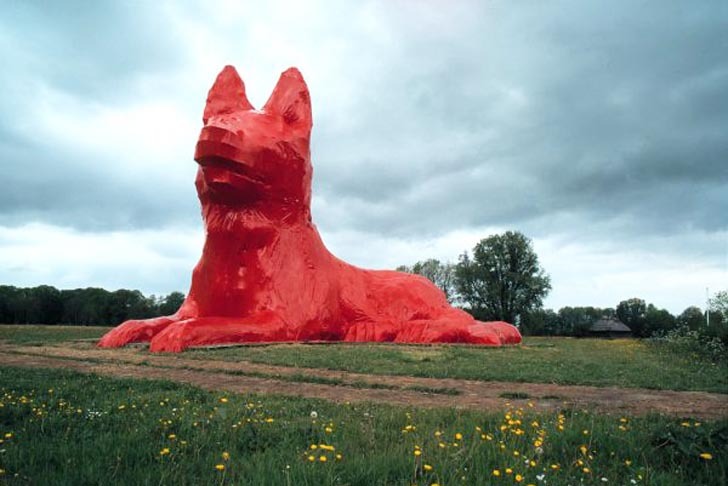 Named Max, the gargantuan dog was designed by Florentijn Hofman, and has been guarding the Dutch community of Leens since 2003. 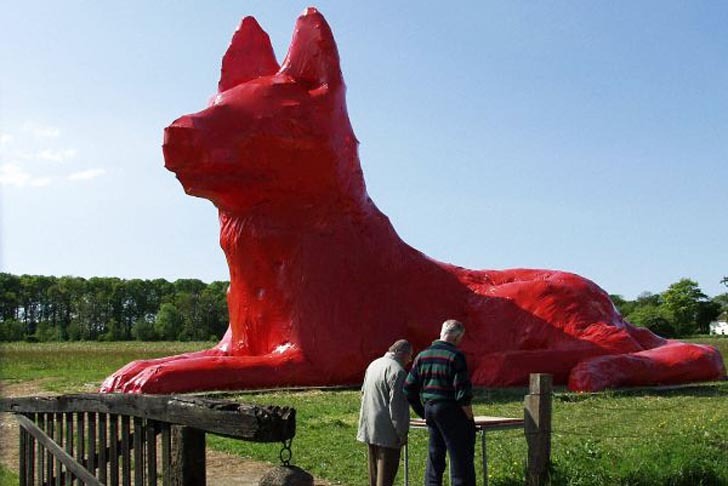 Made from locally sourced scrap materials and covered in bright red shrinking foil, this larger-than-life canine is now part of the local cultural heritage.